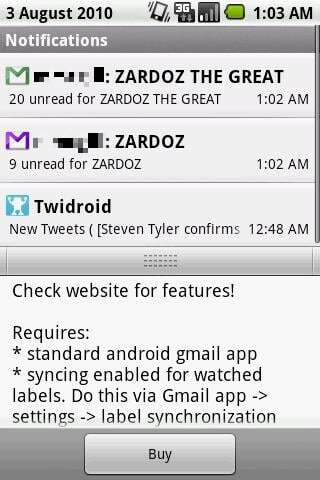 For someone who uses labels so extensively in Gmail, I'm not quite sure how I lasted this long without this app. I was one of those compulsive manual refreshers, spamming my refresh button when I was out and knew a label was expecting mail. 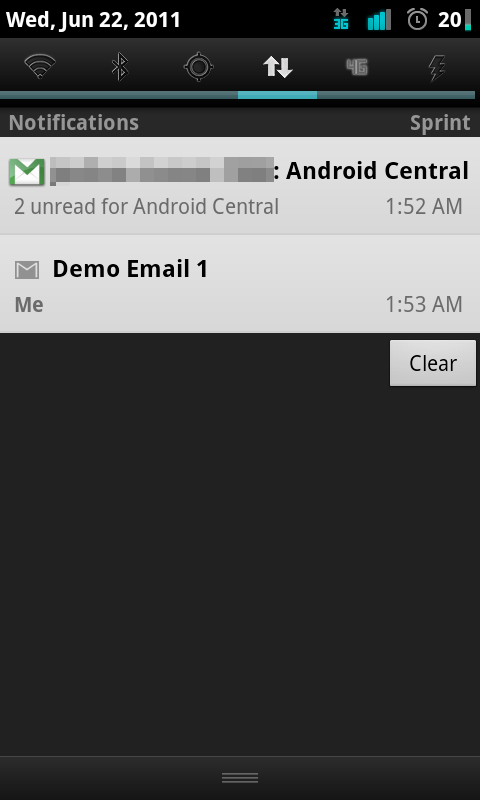 It seems those days are now behind me, thanks to GMail Label Notifier. 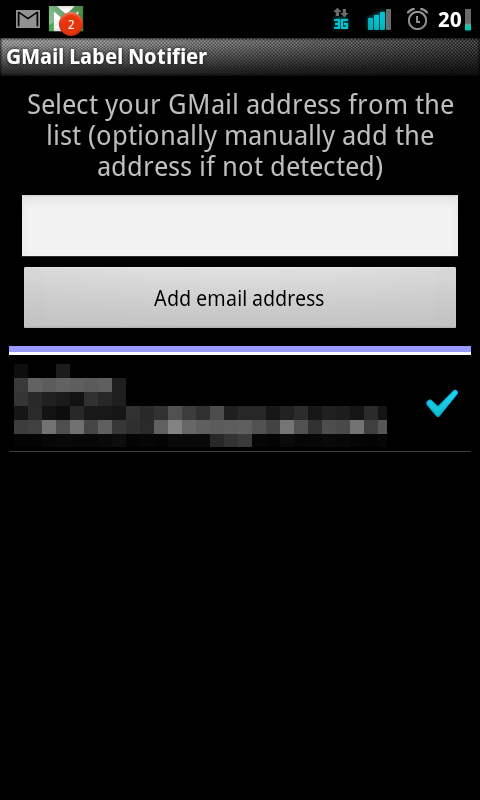 GMail Label Notifier is just what the title suggests, a notification for all your labels that aren't your Inbox. Once you've installed, setup is beyond simple. Open the app, select your Google account or add another Google account, and you'll be taken to a menu that shows you all your labels. 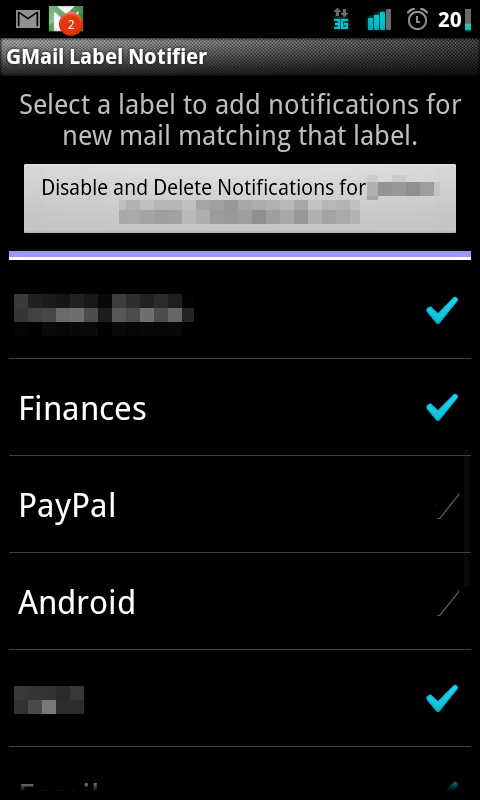 From here, you select the labels you want to be notified about (one at a time), and customize your settings for each label. This is especially cool because you can set certain labels to blink the LED while others don't, for example. 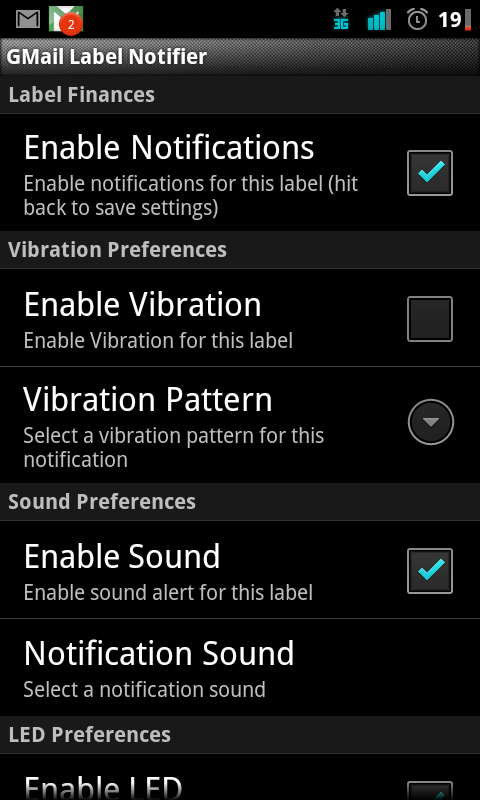 Similar options exist for vibrating the phone and playing a notification sound. Every label can have a different sound/vibration pattern/LED color, if you so desire it, so you can really make these notifications your own. 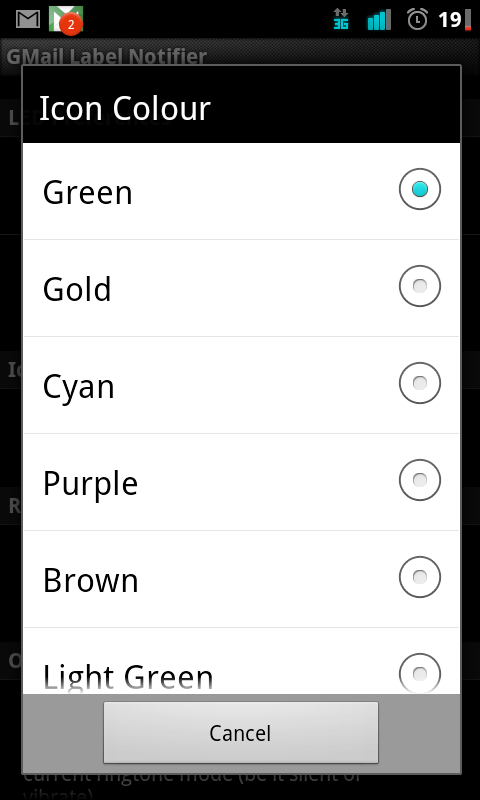 My favorite part is that you can pick a color for each label's Gmail envelope. The list is pretty long, so I actually managed to have each label's envelope color be the same as the label color online. For everything to work smoothly, you've got to make sure the labels you want to be notified about are set up to sync (Gmail settings > Labels > Choose your label), but that doesn't take any time or effort to get working, either. Once you've got all your labels set up to sync and have set everything up in GMail Label Notifier, it's just a matter of time until you start seeing notifications. 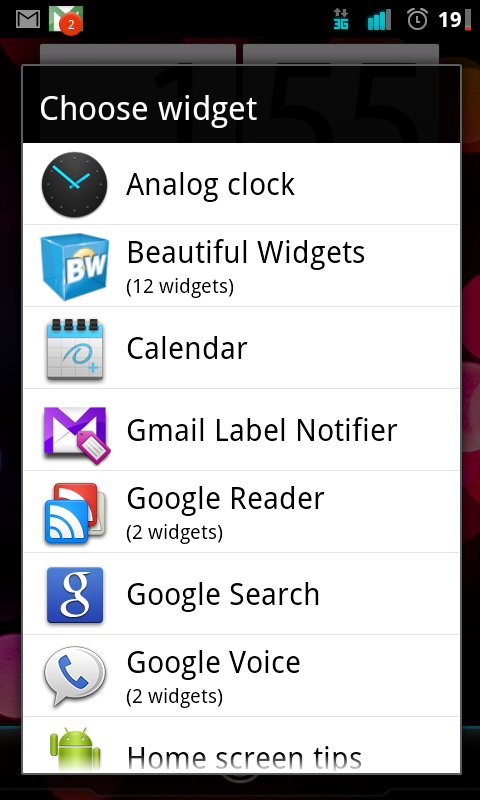 GMail Label Notifier also comes with customizable 1x1 widgets that display an unread counter. 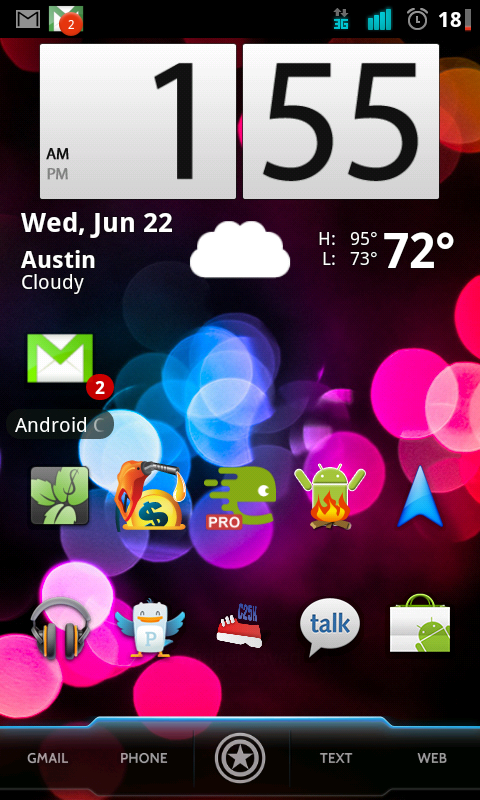 You can customize the envelope's color as well as label with these, if you prefer a widget to a notification. The one difference between this and Gmail's native Inbox notifications is that Gmail's notifications show you the subject and sender, whereas GMail Label Notifier only shows you the unread count of your label. It's not a huge deal and it doesn't really sully the experience, but if Hubris was to ever change that in the future, I wouldn't mind at all. 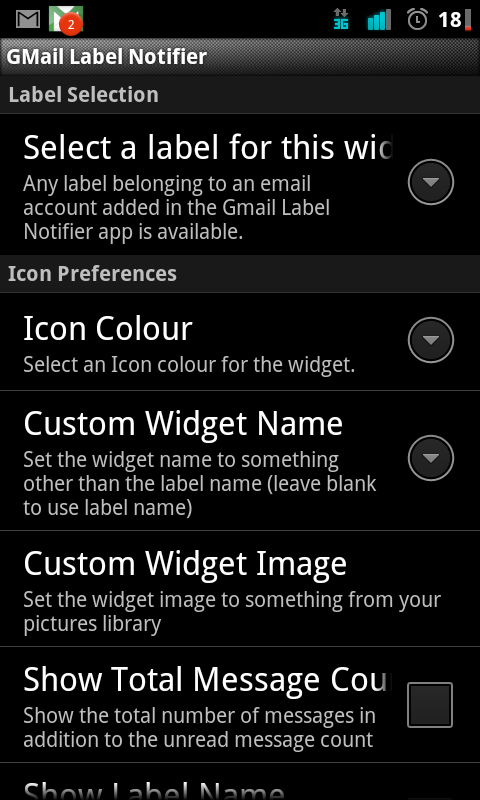 GMail Label Notifier is pretty inexpensive, costing around 81 cents. 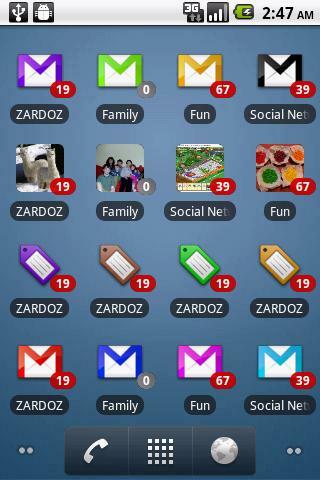 So if you're dependent on Gmail's labels, I'd snap this app up right away. It's wonderful peace of mind, knowing your phone will let you know about new emails without chronic refreshing, plus, setup is so easy you can totally make the 15-minute refund window if you don't like it. More pictures, as well as the download links, are after the break.